ProWine China is sister project of Europe's leading wine fair ProWein Dusseldorf, organized by Messe Dusseldorf. For almost three years Hvino News has been developing successful cooperation with ProWein Dusseldorf , being the only ProWein's media partner from Georgia. Understanding the high importance of Asian market for Georgian wine, Hvino's team is now expanding our activity eastwards and aims to assist in promotion of Georgian winemaking in Asia and especially in China. 570 exhibitors from 30 countries participated in ProWine China 2013. 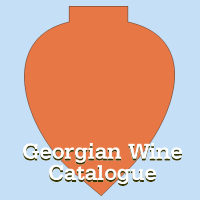 Georgia had its own pavilion, where several Georgian winemakers were represented under one roof. During the upcoming exhibition, Hvino News will help to cover the Georgian winemakers' participation. Hvino News is the only media partner of ProWine China representing Georgia.